I was walking through my local SuperWalmart when I happend to find myself in the nail section (I know shocker right?). A little end-cap display caught my eye. It was a Pure Ice display (Pure Ice is Walmart’s exclusive brand) and the funny thing is being a Canadian, we don’t really get many Special or Limited Edition releases like this. As I took a closer look, I saw that these were quite different from your average mainstream polish. Yes those are indeed crelly-glitters!!! They have a very indie feel to them. So I immediately purchased them all – at $1.97 you can’t go wrong!!!! Scroll down for swatches. 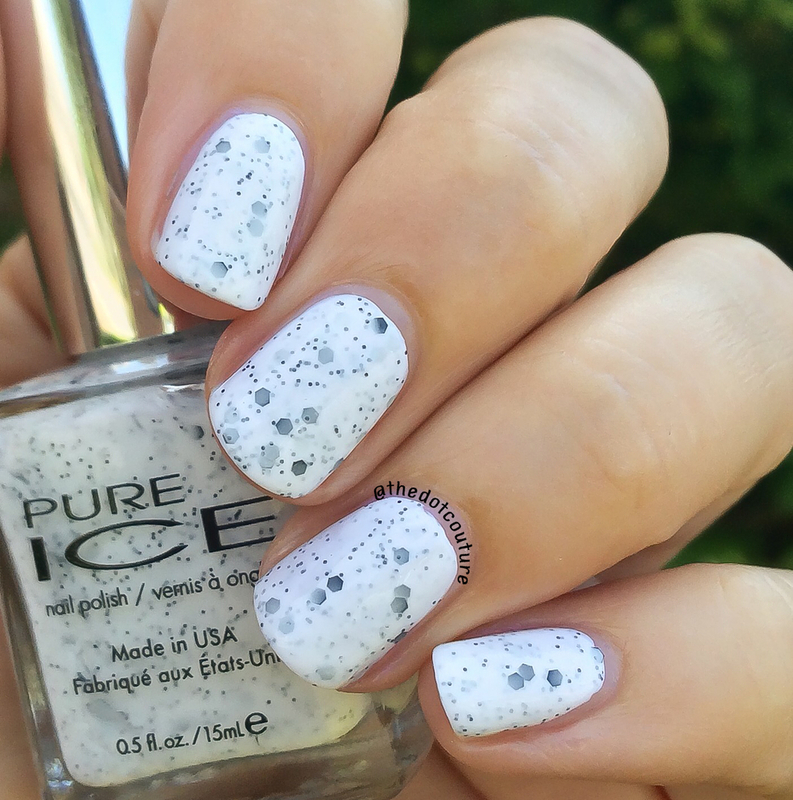 Cookies ‘N Cream is black matte hex and micro-glitters in a white crelly base. This had the best formula of the six. This is only 2 coats plus top coat. It’s often hard to get polishes like this opaque without 3 plus coats. 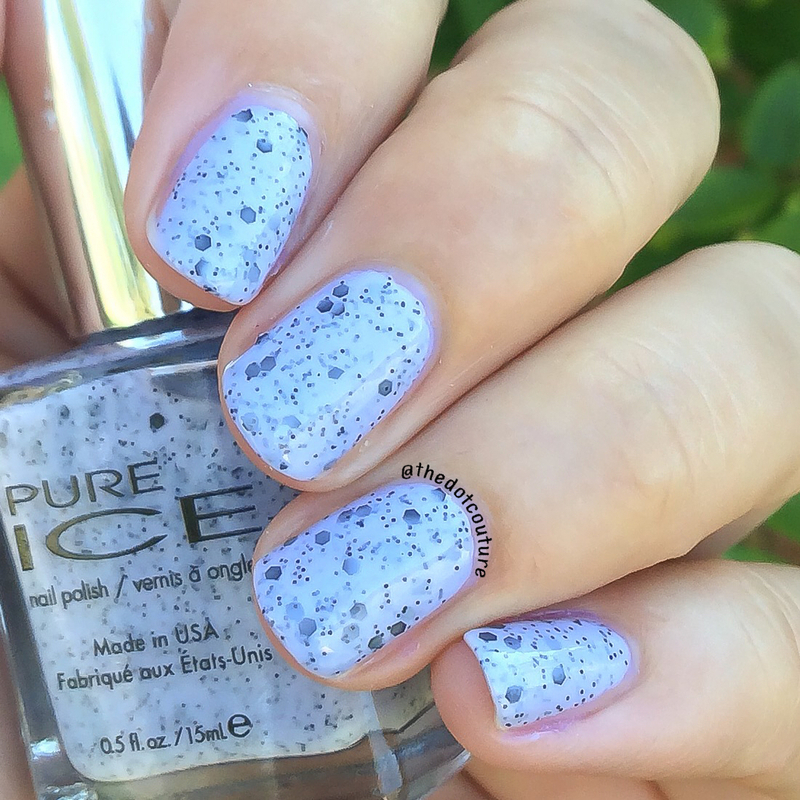 Blackberry is a beautiful pale lavender crelly base with black matte hex and micro-glitters. 2 coats plus top coat. 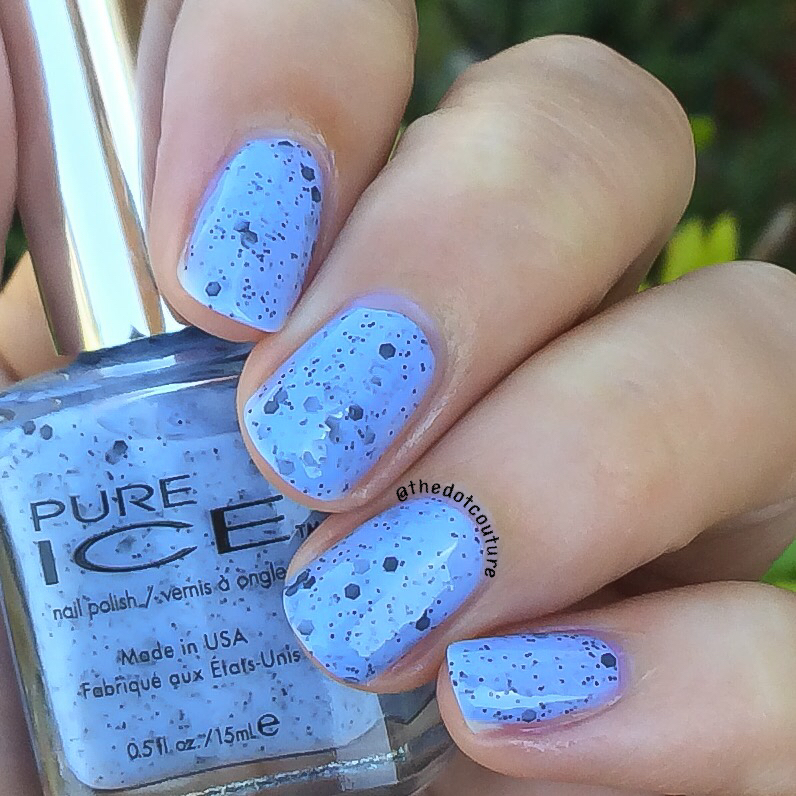 Blueberry is a lovely periwinkle blue crelly base with black hex and micro-glitters. 2 coats plus topcoat. 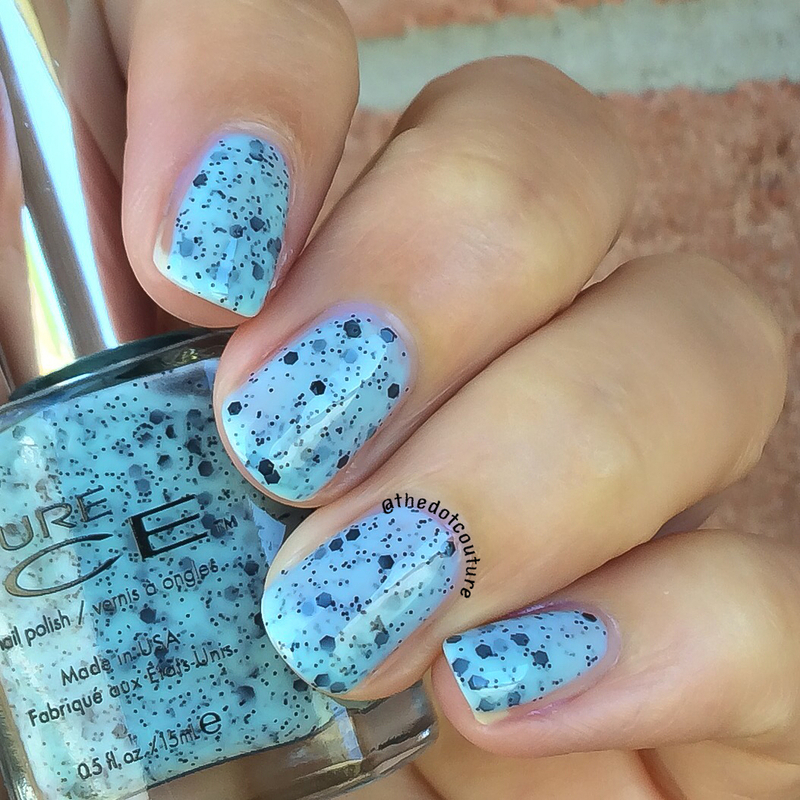 Mint Chip (yes just like the ice cream) is a mint green crelly base with black matte hex and micro-glitters. 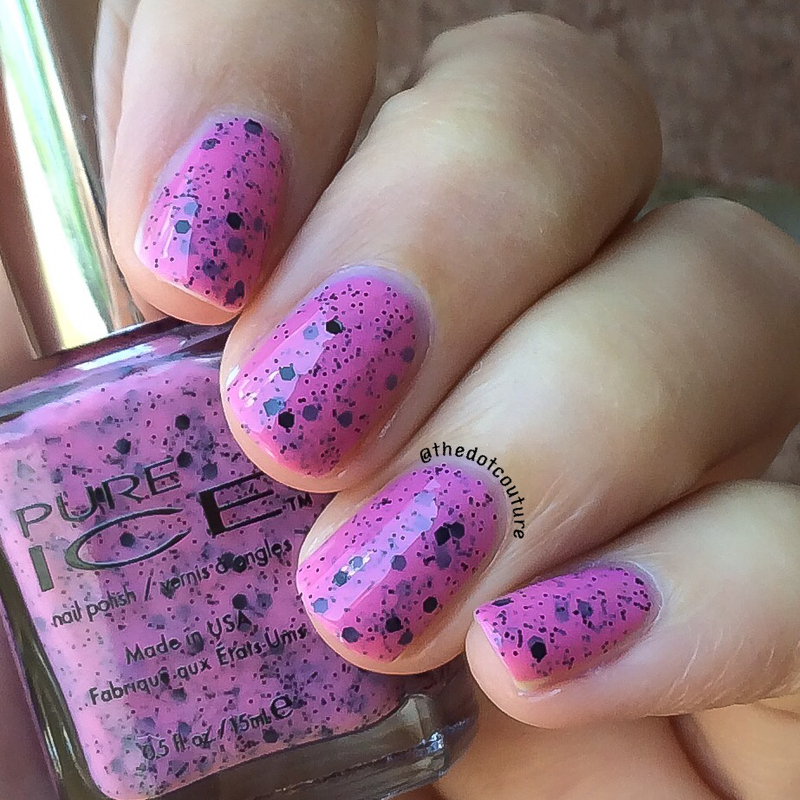 This is one of 2 polishes in this collection that could have used 3 coats to achieve full opacity. This is 2 coats plus top coat. Well anyone who knows me knows orange is my favourite colour!!!! This leans a bit salmony on the nail but I love it. I think it works well in summer but would also be cute in the fall. Black matte hex and micro-glitters in an orange base. 2 coats plus top coat. I think Cherry on Top is the star of this collection. It’s so vibrant and happy and the glitter contrasts really well. It’s black matte hex and micro-glitter in a berry/pinky crelly base. This is the other polish that needed 3 coats for full opacity. I used 3 coats plus top coat for my picture. I loved this collection. I’d never tried Pure Ice before but I didn’t even hesitate. I purchased the entire collection for 14 dollars. 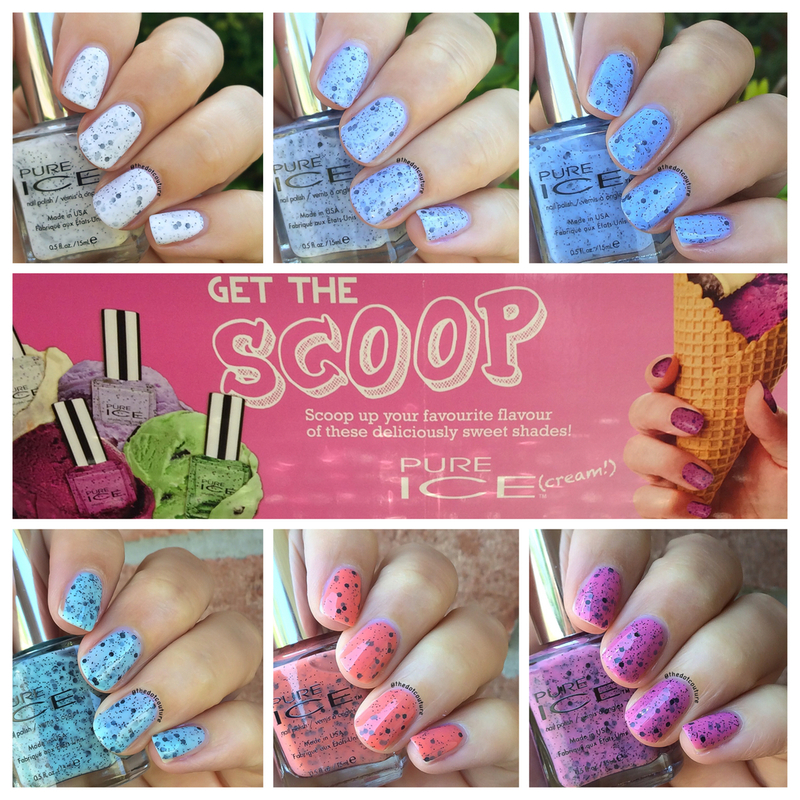 Loved the formulas on these and they are just so fun for summer. 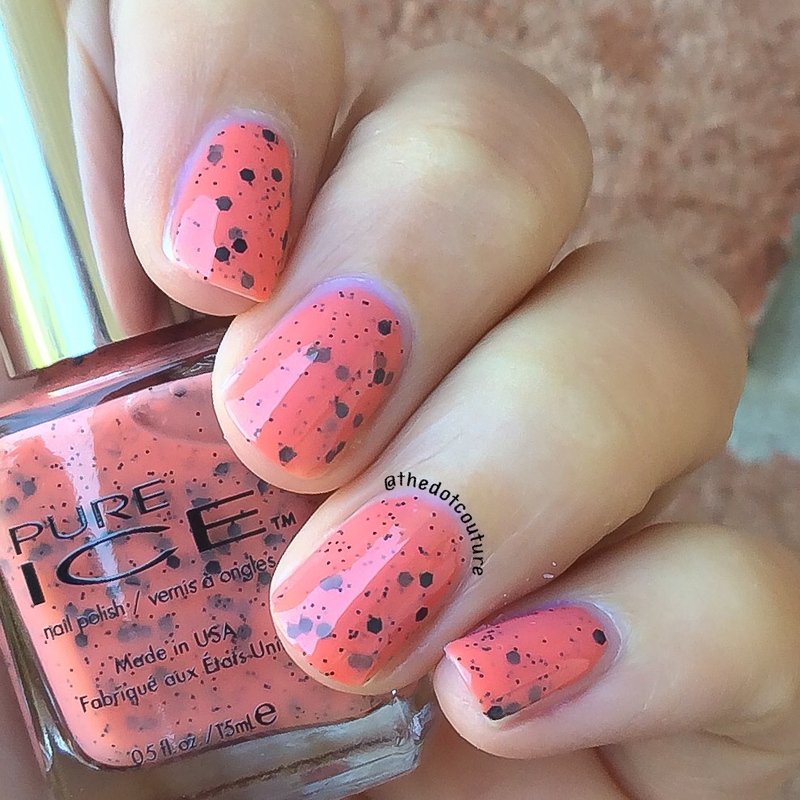 I hope we continue to see polishes like this from easily-accessible mainstream brands! Which one is your favourite? Gorgeous swatches! Congrats on jumping into blogging! Beautiful swatches. I love this collection. I have 5 of them but I can’t find Cherry On Top anywhere! Oh no really? Do you have another Walmart nearby? I could see it being the most popular colour.